TOKYO (REUTERS) - Mr Akihiro Adachi, a 31-year-old audiovisual equipment designer at Panasonic, longed for some personal space during his lengthy train rides from Osaka to Tokyo. 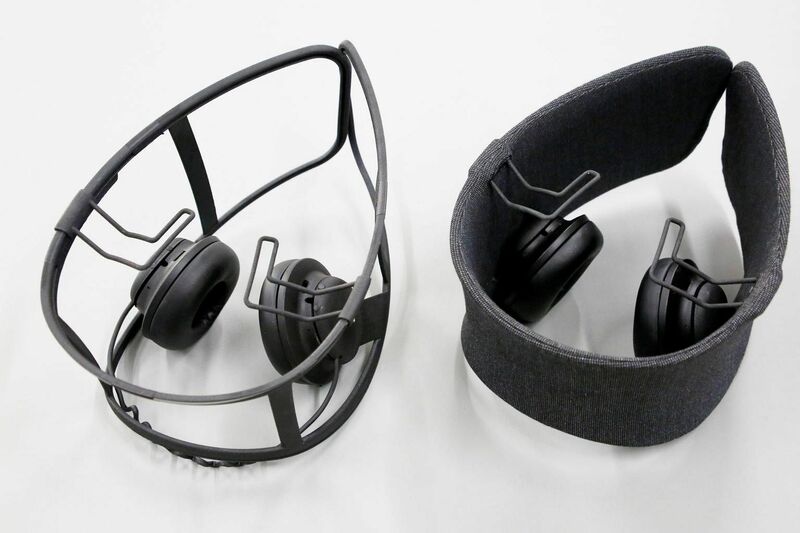 So when his company set out to encourage innovation, he joined with some colleagues and came up with "Wear Space", a headset that limits noise and peripheral vision. Many at Panasonic were puzzled. "Someone said the office full of people wearing this would look weird," said Ms Kang Hwayoung, another member of the 10-person design team. But the prototype unexpectedly won a global design award and received positive feedback from unexpected quarters, such as sake tasters who wanted to limit sensory input. The project is among a range of efforts in the Japanese electronics industry to reinvigorate industrial design. After years of losing ground to design-first rivals such as Apple and Dyson, Japanese companies are now trying to recover the processes and creative flair that produced iconic products such as the Walkman. Panasonic, Sony and Mitsubishi Electric are among those implementing practices that have been routine at many US and European companies, such as engaging designers at every step and treating packaging as part of the product. "We used to have designers involved only in final stages of our product development process, just for an aesthetic fix," Mr Yoshiyuki Miyabe, Panasonic's technology and manufacturing chief, told reporters. "We are revamping the process so that designers can join us from the planning phase." The Japanese government is promoting the efforts: a report in May urged corporate executives to pursue "design-driven management, whereby a company leverages design as a primary driver of competitiveness". It also called for tax incentives for design-related investments and new laws to better protect intellectual property. The government is set to revise such laws next year. "Of course, we had an argument over how much the government can do and should do with private-sector issues like this," said Mr Daisuke Kubota, director at the government's design registration system planning office, who was involved in the panel. "But a lot of design experts asked us for government initiatives, saying that this is really the last chance and Japan would never be able to catch up with global rivals if this opportunity is missed." Another member of the panel, Dr Kinya Tagawa, visiting professor at the Royal College of Art and co-founder of design firm Takram, said there has been a sharp increase in major companies' requesting design lectures for their executives. "I'm seeing a sign of change," he said. All agree there is a long way to go. C-suite designers remain a rarity at most electronics companies while technologists reign supreme, company officials and industrial designers said. Japan last year received 31,961 applications for design registrations, only a fraction of China's 628,658 and half of South Korea's 67,374. In the heyday of the Japanese electronics industry in the early 1980s, Japan had nearly 60,000 applications every year. Dr Tagawa said the root of today's problems was the failure of Japanese firms to absorb lessons from the software revolution, which showed the importance of user-centred design principles and easy-to-use products such as Apple's iPhone. Instead, they remained fixated on engineering. Mr Ryuichi Oya, who retired as design chief of Sharp last month, said he saw that attitude up close when he moved to Sharp four years ago after a long stint at carmaker Mazda Motor. "Designers at home electronics companies have little say compared to engineers," he said. "When engineers dismiss design proposals as too costly or difficult from an engineering point of view, designers easily succumb." Mr Oya said he found it particularly hard to convince management of the need for a design vision. "It's not about whether you like this colour or that shape,"he said. "There have to be design principles unique to Sharp and consistent across its product line." Japanese designers cited the contrast with South Korea's Samsung Group, where its patriarch Lee Kun-hee said in 1996 that design was a core management resource "imperative for a company's survival in the 21st century". He sharply boosted both the number and status of designers. At Sony, insiders said design began its return to the forefront after chairman Kaz Hirai took over in 2012. Change has been slow as the company went through a painful restructuring, but the results can be seen its approach to the revival of Aibo, a robot dog. 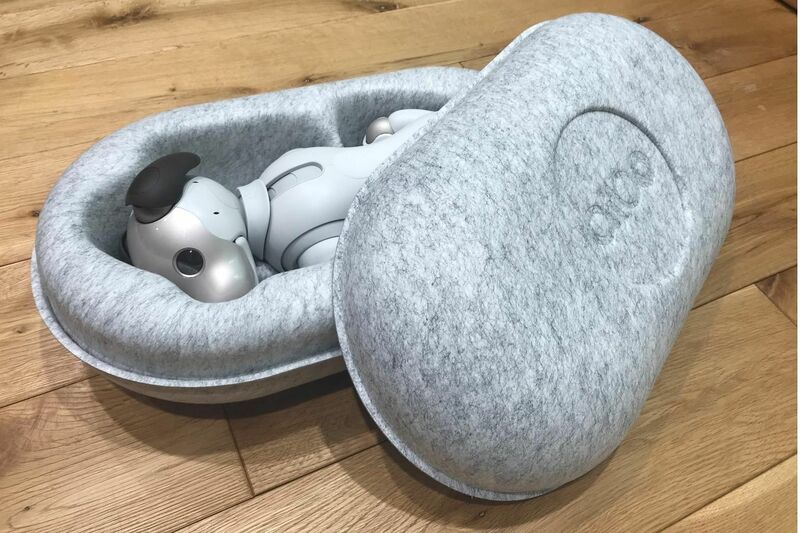 Designers worked to craft a holistic user experience, starting from the moment a customer opened the box, tapping into a community of Aibo owners, Sony design chief Yutaka Hasegawa said. "We had intense discussions over how Aibo should be packaged, to make it look closer to a living creature. It's important because opening the container box marks the customer's first encounter with the dog," he said. They decided to lay Aibo sideways with its head tilting to the left, a more expensive option than placing it face down because the interior packaging must be asymmetrical. The result was a buzz among Aibo owners, with some posting on the Internet videos showing a "ceremony for opening the Aibo container".